?-------- The Sky Walk is a magical new app that enables you to identify the stars, planets, galaxies, constellations and even satellites you can see above. Just stand anywhere and hold your iPhone, iPod touch or iPad up to the sky and The Sky Walk will display the names of the stars, planets and other objects you are able to see, just like magic! ?? --> AMAZE ANYONE YOU SHOW IT TO, WORKS JUST LIKE MAGIC! --> A UNIVERSAL APP - PAY ONCE AND GET THE IPAD & IPHONE VERSIONS! --> WORKS ANYWHERE, NO DATA CONNECTION REQUIRED! --> AMAZING PRICE FOR AN AMAZING APP! Thank you for making Sky Walk a worldwide success!?? 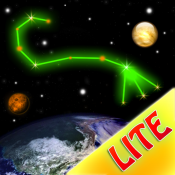 This update brings some fantastic new features and enhancements to Sky Walk:??
? ?--> Sky Sharing! 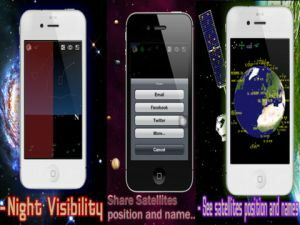 - With the tap of a button share the sky you can see on Facebook, Twitter, E-mail and even save it to your camera roll! Share the magic of what you see in Sky Walk with your friends and family!
? ?--> Sky Information Pack - New Sky Information Pack, Sky Walk now gives you a wealth of information about the objects you can see. No longer will you wonder what is above you, Sky Walk has all the information you need to answer all your Night Sky questions!?? If you enjoy using Sky Walk please tell your family and friends about it, also if you can spare the time to write us a great review in the App Store, this is always appreciated!?? Enjoy using Sky Walk - simply magical! Muy buena para aprender constelaciones, estrellas, etc. Como apoyo a la docencia en el tema del sistema solar. En el �ltimo ciclo de primaria.